If you’ve been more than a little concerned about an elderly loved one displaying behaviours that are not normal for them, then perhaps it is time to check that something more serious is not going on. The signs may be subtle over a period of time, and not immediately obvious, and of course vary from person to person. The sooner dementia is diagnosed the better, as some treatments and medications can slow the progression of certain untreatable types of dementia, like Alzheimer’s. Memory loss that disrupts daily life, as well as confusion about the current time and place. Repetitive behaviour – repeating oneself. For instance, repeating the same story or asking the same questions without realising they have just asked them. Difficulty performing familiar tasks. People with dementia can also take longer to complete simple tasks like dressing. Poor or decreased judgement on a regular basis, and on a much larger scale. For instance, they may dress inappropriately for cold weather, neglect their personal hygiene or even give away large amounts of money to strangers. Difficulty solving simple problems such as navigating a route to get home or following a recipe. Difficulty speaking and choosing words. The cognitive process is impaired for people with dementia, therefore they may forget what they were talking about, or express difficulty finding the appropriate words to fit the conversation. Behavioural changes such as displaying obsessive-compulsive behaviours. Your loved one may continually check that the doors are locked or continually fret over a non-existent problem. Social Isolation – they may have withdrawn from their usual social outings and friendships. Loss of initiative. Whereas once your loved one was creative and resourceful, they may no longer display any wit. This may also affect their ability to detect sarcasm or lies which may be to their detriment. Physically – some studies point to early changes with regards to walking and balance, as well as a weak hand grip. This in turn can lead to frequent stumbling and falling. 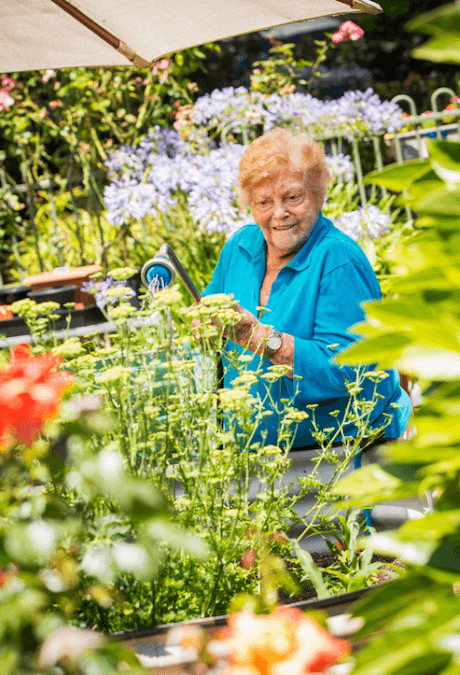 Check out our blog here on risk factors and prevention of falls in the elderly. If you have noticed your elderly loved one has displayed some of these symptoms, it would be wise to see a Doctor in the first instance. Early treatment, support and planning for the future is essential for the long-term prognosis of living with dementia. For more information contact Dementia Australia.